You are here: Home › Mobile learning for special education – What’s the bigger picture? Its back-to-school time, and many school districts/boards and schools have purchased iPads over the summer, either for large-scale initiatives or for smaller pilot projects for mobile learning within their schools. Administrators, teachers and students are excited to be using this new technology – in fact a recent article from MindShift indicates that iPads are one of the top three technologies that teachers are most looking forward to using this year. Special education teachers in particular are looking forward to using apps for mobile learning that have been developed in different areas. With good reason-there so many apps available right now in the area of special education that it is becoming increasingly difficult to find apps on iTunes. Luckily, we have a lot of excellent information out there that helps families and professionals find information on mobile learning apps for children with special needs. To mention a few that we like: SNApps4Kids, Broxterman’s Bugle: Teaching with Technology, Teaching All Students, Speech-Language Pathology Sharing, iEAR, Speechtechie, Teaching Learners with Multiple Special Needs, Mobile Learning 4 Special Needs and the Spectronics blog. These sites/blogs/wikis all provide overviews and advice for the selection and use of apps for education, communication and mobile learning for children with special needs. What we like most about them is they are all written from the perspectives of professionals in the field. We write our own series in this area called There’s A Special App for That – we just completed the 9th article in the series. While writing the 10th, (coming soon) we started to think about apps on a larger scale, as part of a mobile learning initiative. We’ve received several questions from school administrators on how to implement a mobile learning initiative for special education on a school-wide or board/district-wide scale. We realized that not only did we need to utilize our knowledge about specific apps for specific populations, but we needed a framework for the implementation of these apps specifically within a special education setting. Recent examples of merging methodologies and evidence-based practices with mobile learning app selection include Technology in Education’s Recommended Apps by IEP goal, Kathleen McClaskey’s UDL and mobile apps blog, Bloom’s apps, teachwithyouriPad’s Bloom’s taxonomy with Apps, and Tony Vincent’s Evaluation Rubric for Educational Apps. Generally, teachers look for apps that can assist a specific student in a specific area – an excellent strategy that encourages individualization of the curriculum for students with special needs. The beauty of this approach is having all of these apps at our disposal – the potential to match an app to the individual learner is key. While we continue to do this, we need to move onto the next level when looking at app selection from a large-scale perspective (such as a mobile learning implementation school or district-wide). There is a need to move beyond app recommendations for specific areas and specific individuals. How will the apps that you have chosen for remediation purposes in specific areas (ex. fine motor, language, literacy, etc) be applied to your special education goals in your school or district? How can we create a mobile learning initiative to support our vision of special education in our school or district? There are a number of very interesting articles that can be helpful in developing a mobile learning initiative in your school. “How to create sucessful m-learning strategy” from the Upside Learning blog is a three part series that provides a summary of a workshop from mLearnCon that focused on building a mobile learning strategy. Also, Academic Impressions has a good article “Considering Mobile Learning For Your Institution” However, there is very little about how to develop a mobile learning initiative for special education across a school or district. We did a lot of reading and thinking about how to apply some of the general guidelines from across the web. Develop a shared vision of mobile learning for special education in your school or district. Apply the methodology that supports and aligns with your vision. Select apps that support your chosen methodologies. Ensure that there is adequate support for the technologies that you have chosen. App selection. The apps selected will allow teachers to differentiate classroom activities according to process, product and content. 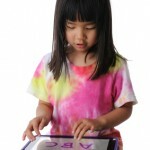 For example, speech recognition apps will be used for students who struggle with writing due to fine motor difficulties, specific e-books can be used for students who need extra visual and auditory support when reading or for the purposes of multi-level reading, and specific math apps might be used to practice addition at multiple, different levels. Support. This entire initiative will not be successful without adequate support for teachers in the school. Teachers need to focus on how to support pedagogy with the use of technology, and not the technology itself. While iPads are a reliable technology, teachers need professional development and technical support. Implementing your own special education mobile learning initiative? We would love to hear from you. We welcome your thoughts on this post, as well as your feedback on an implementation process in your school. 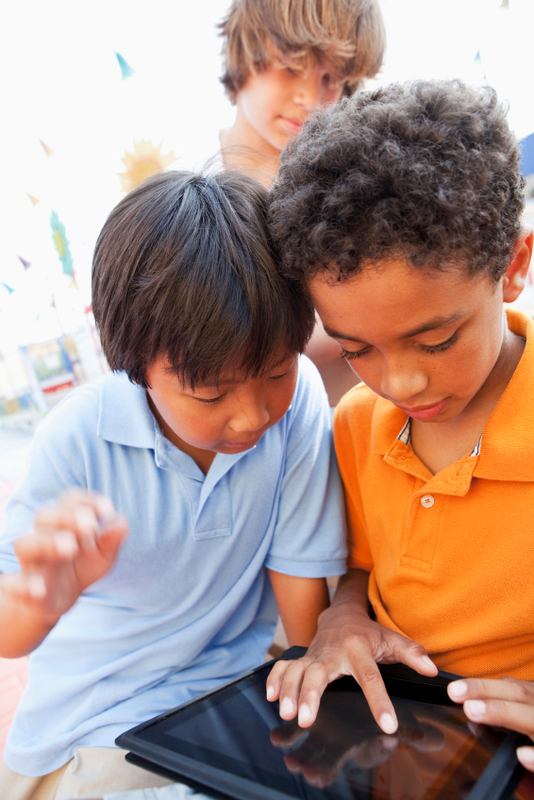 One Response to Mobile learning for special education – What’s the bigger picture? Mobile learning is such an exciting evolution of technology for educational use. When will Scholastic, Scott Foresman, Envision and others beging developing curriculum integrated apps for these tools? The time is now. We also will need to seriously address the costs of technical support and the product lifecycles. With some districts unable to properly supply pencils and paper how in the world are they going to provide 500 dollar devices, training, and ongoing maintenance ?